Home / Opinion / Trending Now / Filipino Diplomat on President Duterte’s legacy: "A liberation from religion?" Filipino Diplomat on President Duterte’s legacy: "A liberation from religion?" 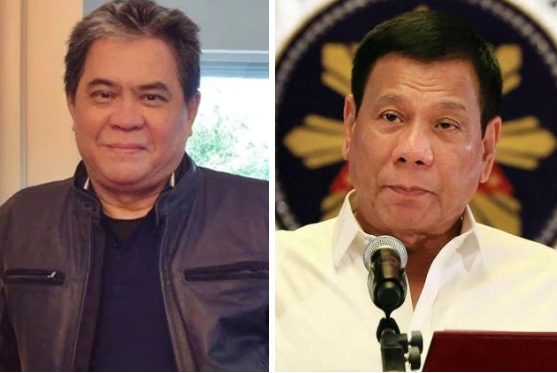 Rigoberto Tiglao, a Filipino diplomat and writer, on Wednesday, June 27, 2018, shared a column he actually published a year ago about President Duterte's liberating the country from religion of the superstitious kind, which he thinks is more relevant now because of the many issues that the President is currently facing over the latter's feud with the Catholic church. 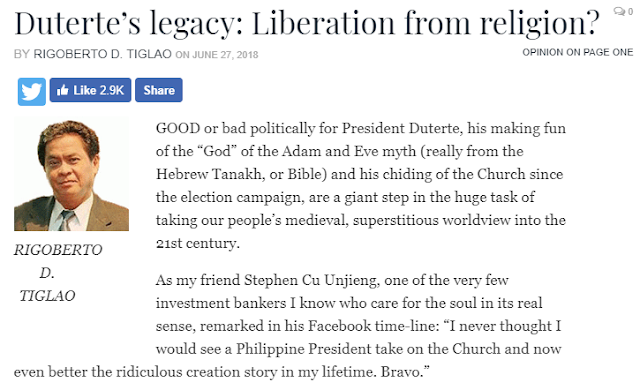 In his column on one of the top news media outfits and newspapers in the Philippines, Tiglao again asked if the President's legacy would in any way liberates the nation from religion. According to Tiglao, President Duterte's rebuking of the Church since the election campaign is a step in the tremendous duty of taking our kin's medieval and superstitious perspective into the 21st century, may it be good or bad in his political career. He likewise recounted how his friend, who cares for the soul in its real sense, commended Pres. 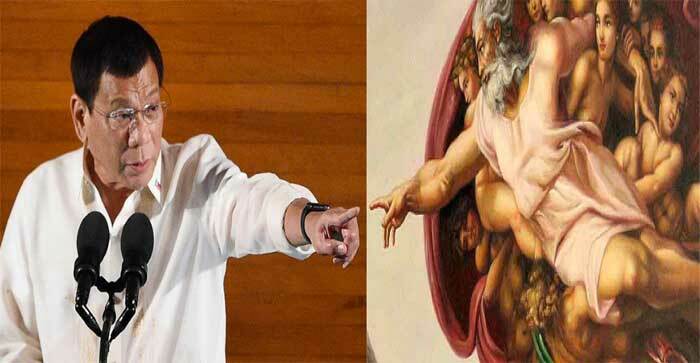 Duterte, made a comment and posted his opinion in social media and uttered that he never expected he would see a Philippine President go up against the Church and the bible's story of creation. "I never thought I would see a Philippine President take on the Church and now even better the ridiculous creation story in my lifetime. Bravo." Tiglao's friend, Stephen Cu Unjieng exclaimed. He then said that he actually do not understand why the clerics and the Yellows are desperately asking for President Duterte's ouster for criticizing the 10,000-year-old legend that numerous Filipinos believed truly happened. Tiglao then made a good point by saying that President Duterte isn't just the only Philippine President, but also the first national or even local political leader who went up against the Church, and demonstrated his abhor for it and in fact, no one but the kind of person that Pres.Duterte is, could have spewed such vitriol on the Church. "Duterte’s legacy: Liberation from religion?" 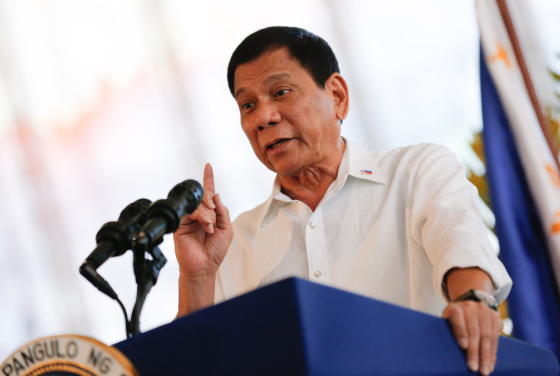 "GOOD or bad politically for President Duterte, his making fun of the “God” of the Adam and Eve myth (really from the Hebrew Tanakh, or Bible) and his chiding of the Church since the election campaign, are a giant step in the huge task of taking our people’s medieval, superstitious worldview into the 21st century. I wrote the following column (January 7, 2017) of the same title which I think is more relevant now, what with clerics and the hypocritical Yellows hysterically jumping up and down calling for the ouster of Duterte for ridiculing that 10,000-year-old myth many Filipinos believe really occurred. 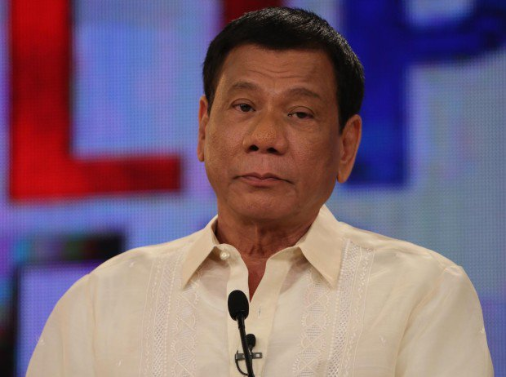 “Will Duterte liberate us from religion of the superstitious kind? That seems unlikely, as Catholicism has brainwashed over 20 generations of Filipinos, as Christianity has Western civilization for about two centuries, and its hold on people’s superstitious minds will probably last for another millennium. Still, President Duterte is not only the first Philippine President, but also the first national or even local political leader of note, to take on the Church, and to show his disdain for it. “I challenge the Catholic Church. You are full of s**t. You all smell bad, corruption and all,” the President said. No one but the kind of person Duterte is could have spewed such vitriol on the Church: “Gago,” he described himself, using that term to mean an unorthodox person who does what he thinks is right and doesn’t care what others think about him. 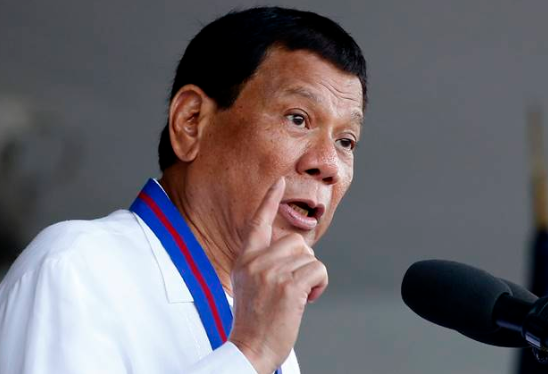 Duterte is certainly treading on very dangerous ground in challenging religion. Confronting one’s beliefs developed since childhood is not for the faint of heart, as this wakes one up to the realization of an uncaring cold, universe. What if one wakes up in the middle of the night, and realizes that this – this life – is it, and there’s no magical territory one migrates to after death? Still, though, it is challenging to realize that we are probably among the first generations of humankind to have the intellectual tools and the vast information accumulated by civilization for 2,000 years that could be employed to determine what are superstitious beliefs (made by pre-scientific peoples to make sense of the universe) and what are not, using logical, data-based processes we call the scientific method. A crude example, of course, is that we are certain that the sun doesn’t really rise (much less is it the chariot driven everyday across the firmament by the Titan Helios of ancient Greek mythology) in the east and set in the west. Rather, it is Earth which revolves around a medium-sized star, one among gazillions in the universe. And this wasn’t proven by the eyewitness accounts of astronauts who orbited the earth in space vehicles just in the past several decades. Long before them, it was deduced by the 16th century mathematician and astronomer using methods that would be developed to an astounding level of sophistication which we call science. It is the same method – in certain disciplines called anthropology, linguistics and comparative religious studies – that was employed to examine, starting in the 19th century, what most humans on earth believed were divine revelations written by the Deity’s ghost-writers, that is, “Messengers,” i.e., the Jewish Torah, the New Testament and the Quran. However, ancient documents have been unearthed in the 20th century that shed light on the very human origins of these books that have been considered Words of God, such as the Dead Sea Scrolls in the case of the Torah and the Christian New Testament, and a Syrian-Aramaic text of the Quran. Scholarship on the man called Jesus Christ and on the origins of Christianity has exploded, starting in the 1980s, given impetus by the so-called Jesus Seminar, a group of about 150 critical international scholars and laymen founded in 1985 that examined the Bible using modern anthropological, sociological and linguistic methods. The writings of these scholars have been such that the debate is no longer whether Jesus is the Son of God – as the Bible claims – but whether he existed, or was merely a fictional character as unreal (but as powerful in impact on a civilization) as mythical gods such as Apollo, Osiris and Zarathustra. A recent intriguing scholarly book (Caesar’s Messiah: The Roman Conspiracy to Invent Jesus by Joseph Atwill) even rigorously argues that the Jesus myth was invented by the Roman emperors Vespasian and his sons, especially Titus, to create a religion that would counter the passionate belief for a coming military-religious leader termed Messiah of the Jews, who gave the Romans so much trouble that they decided to burn to the ground Jerusalem and its Temple in 70 A.D.
On the other hand, a book by a scholar argues that Muhammad did not exist at all (Did Muhammad Exist? An Inquiry Into Islam’s Obscure Origins, by Robert Spencer), that it was an invention by the Arab military leaders to foster, as most religions have done, zeal in their conquests. How was it so easily invented? By hijacking the Syrian version of Christianity that was emerging in the 7th century, which explains why Islam officially believes in such biblical figures as Moses and Jesus. One interesting finding of one scholar on Islam is that the 72 virgins the Quran said jihadists would enjoy in Paradise was a mistranslation from the Syriac-Aramaic text. What the martyrs would enjoy would be raisins, then an expensive delicacy in the Arabian deserts that were out of reach for ordinary warriors. One of the most ignorant, yet prevalent, views is that Christianity can’t be wrong as it has survived for more than 2,000 years, despite its persecution. This is so totally wrong. Christianity is one of the main religions of the world now, because it was the state religion of one of the biggest civilizations the world has seen: Europe, which originated from the Roman Empire, the most powerful and long-lasting military dictatorships the world has seen. It wasn’t a choice of the vast population of peasants whether to believe in Jesus or not; they had to, or else. Similarly, Islam is one of the largest religions on earth, because it was the religion first of the Caliphates that emerged out of the Middle East to conquer vast swathes of the world, as far as India, and then of the Ottoman empire of the 13th century that even nearly overran Christian Europe. That explains why Mithra, Osiris and Zarathustra didn’t become the Deities of world religions: these didn’t become state religions of vast empires that neared the modern era. (* A “devotee” said a few years back: “The first time I joined the Black Nazarene procession, I got my wish for a Tamaraw FX. This year I’m wishing for a Pajero.”)"